« My Zayde, My Noah! 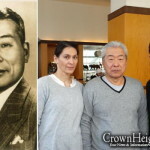 During the summer months, the Polish ambassador in Japan organized 81 visas for students of the various yeshivahs and youth groups that were in Shanghai to travel to Canada. The visas were distributed according to the number of students in each group. 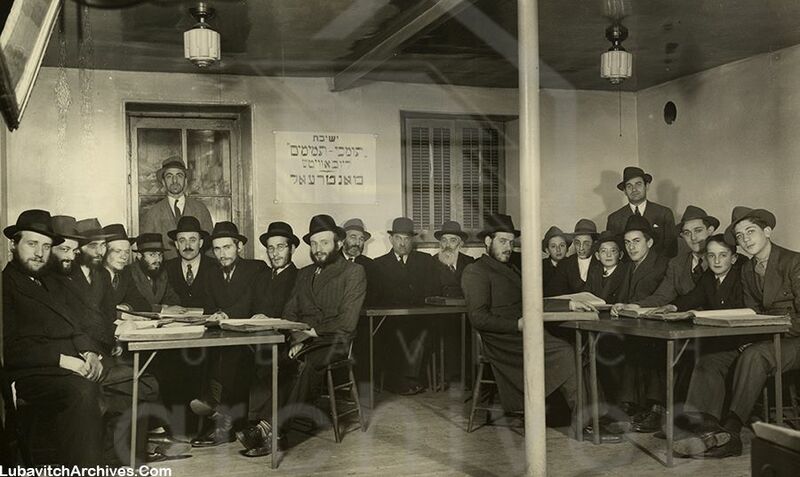 The Lubavitcher yeshivah received 9 visas. 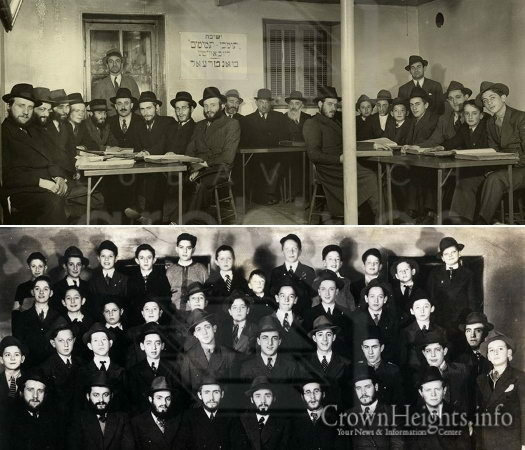 The chosen students were Rabbis Moshe Elya Gerlitzky, Zev Volf Greenglass, Yitzchok Hendel, Herschel Kotlarsky, Leibel Kramer, Yosef Rodal, Avraham Stein, Yosef Wineberg and Rabbi Yosef Menachem Mendel Tenenbaum. The group departed for San Francisco, California, en route to Montreal, two days before Yom Kippur, 1941. There was little kosher food on the boat, and the students survived on salmon and produce. 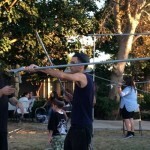 Before Sukkos, they built a sukkah on the ship, but with all the high winds on the open ocean, it did not last long. After Sukkos, they arrived in California, where the Joint Distribution Committee organized a grand welcoming for all of the refugees. 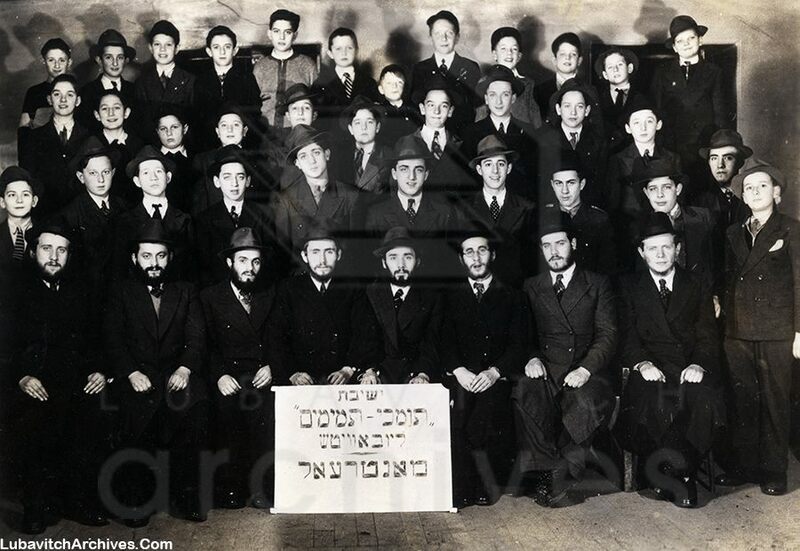 After a long and tiring trip by rail, the nine students arrived in Montreal on Friday, the 3rd of Cheshvan (October 24, 1941). The Jewish Federation arranged for all the student refugees to rest at a resort in the Laurentian Mountains in Quebec. However, a telegram awaited the students from the Rebbe Rayatz, who was then in New York. The Rebbe instructed them to resume their studies as soon as possible. To the shock of the locals, the students followed the Rebbe’s guidance and began learning in the basement of the Nusach Ari shul on Pine Avenue. While plans were being made for more refugees to immigrate to Canada, the Japanese bombed Pearl Harbor, and all travel over the Pacific was halted. That first year, the transplanted Lubavitcher Yeshivah attracted several dozen new students. By the next year, there were over one hundred students learning there. Classes were added for younger students, and a full-fledged Tomchei Tmimim Lubavbitch school was born. 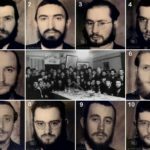 In the first photo of the nine “Shanghai talmidim” with community members. Rabbis Kotlarsky, Rodal, Wineberg, Greenglass, Stein, ?, Tenenbaum, Hendel and Kramer. On the right table is Rabbi Gerlitsky. In the second photo are eight of the nine talmidim with their students. Rabbis Kotlarsky, Rodal, Stein, Tenenbaum, Wineberg, Hendel, Gerlitsky and Greenglass (not photographed is Rabbi Kramer). For daily historical photos visit https://www.facebook.com/LubavitchArchives.